Create a magic circle with 3 SC stitches in the center. Round 1: (Single Crochet once, and Double Crochet 4 times) into first stitch, (Double Crochet once, Half Double Crochet once, Triple Crochet once, Half Double Crochet once, and Double Crochet Once) into the second stitch, (Double Crochet 4 times, and Single Crochet once) into the third stitch. Cut yarn and secure ends. You now have one completed heart. Use the single crochet stitch along the edges of the hearts (or sew together using a yarn or tapestry needle) to create a headband. Use the average head circumferences listed above, along with the equation listed below to figure out how many hearts you need for the desired size. This should create a twist in your project, making it look like the top of the heart. Pull end through last st on your needle to bind off. Leave a 5-7 inch tail. You now have one completed heart. Use a yarn or tapestry needle to sew the edges of the hearts together to create a headband. Use the average head circumferences listed above, along with the equation listed below to figure out how many hearts you need for the desired size. Thanks for stopping by to snag the pattern to make your own knit or crochet heart headband! 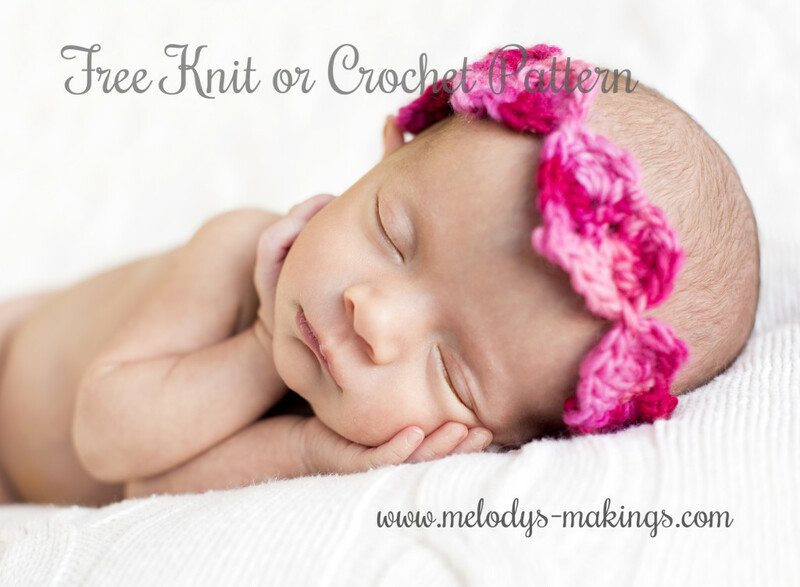 Comment and let me know who you plan to use this pattern for <3 Happy Mother’s Day 2014! 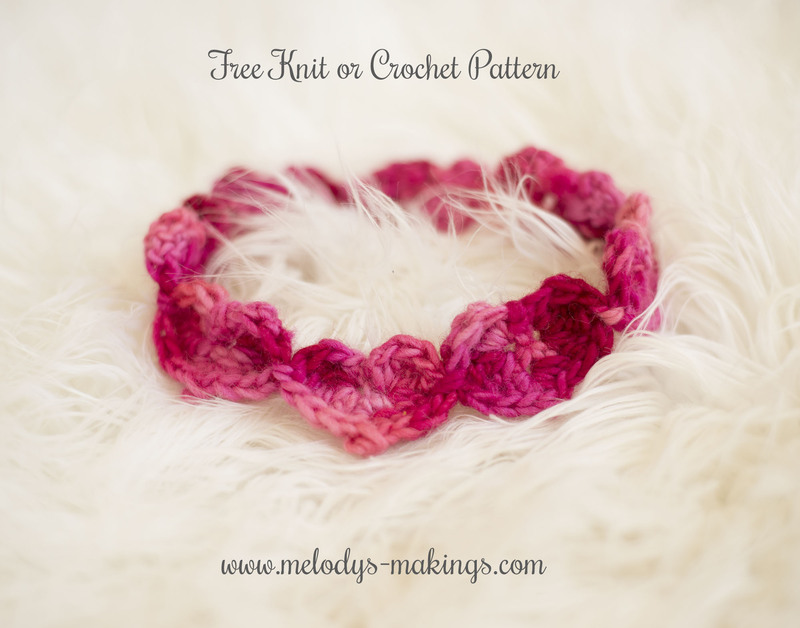 If you’re excited about this free pattern, then please share it with your friends! Your support it what keeps me designing and providing more freebies in the future. A very happy moms day to you and your mom. thank you so much for the free pattern. will be making it for my daughter in law to use in her photography business. Just spent the day with 5 of my six children, their spouses and 10 of my eleven soon to be 12 grandchildren. It was a wonderful day. Really nice heart pattern. I think I’ll try. It with sts stich. Thank you.